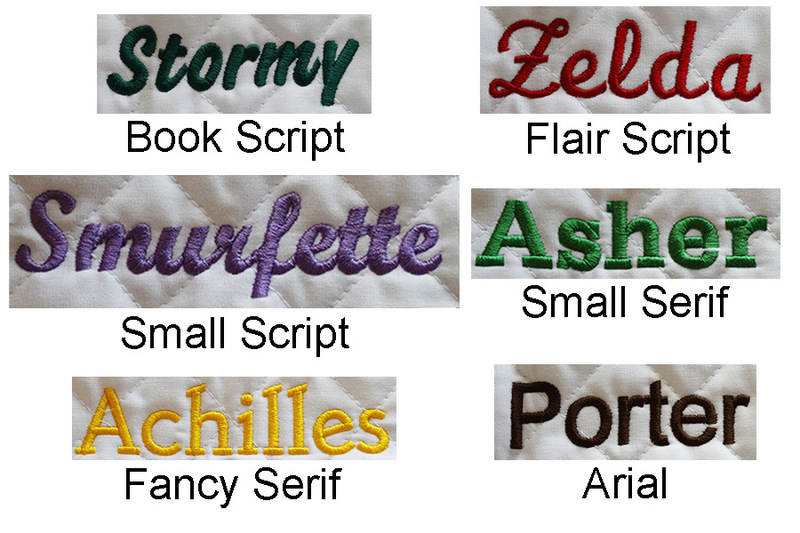 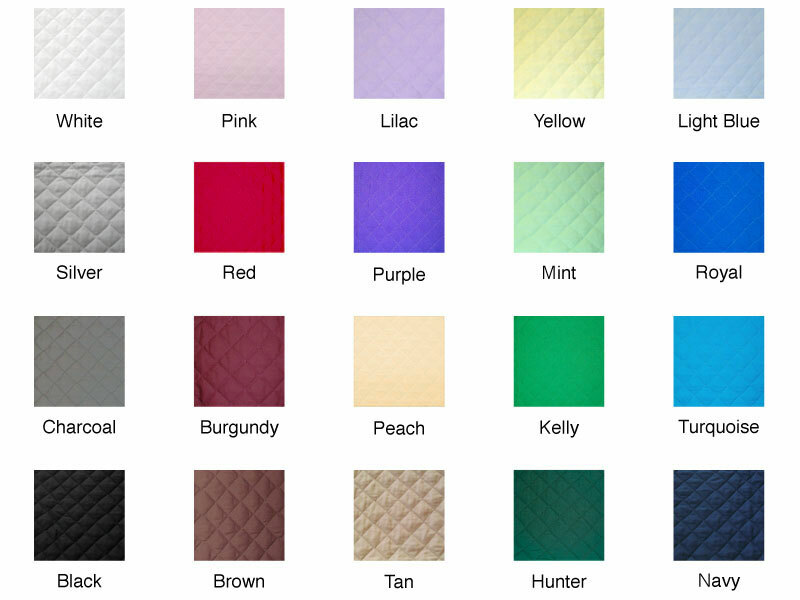 Choose a tab below to view color and embroidery options for different product attributes. 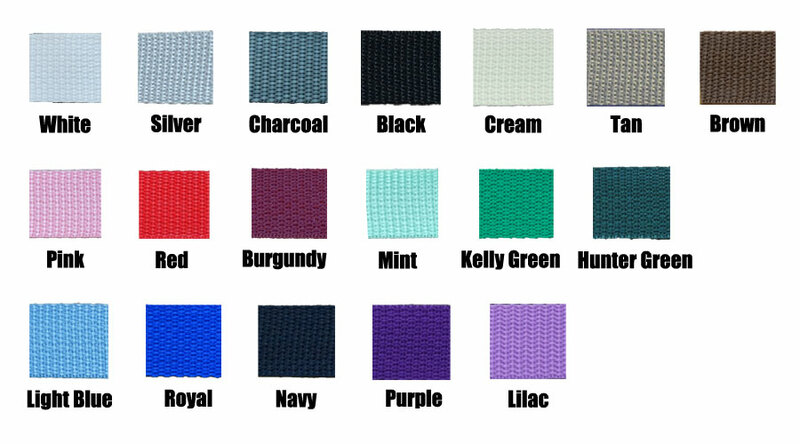 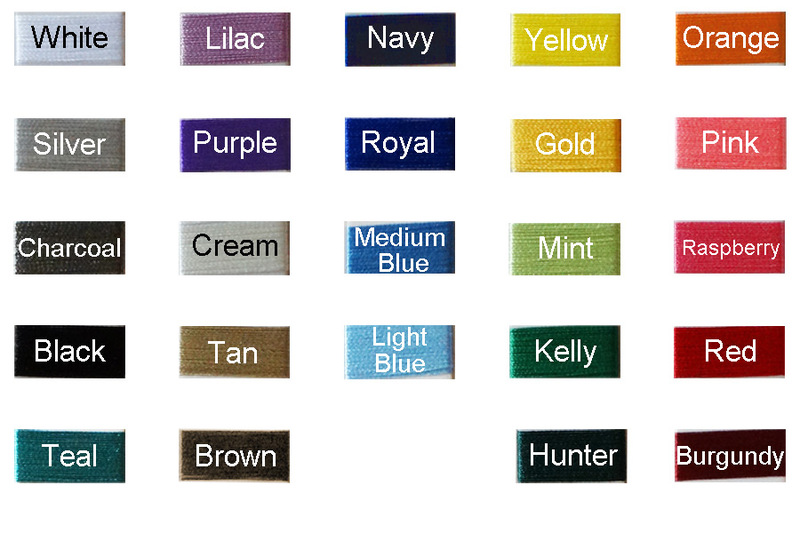 From Left to Right: Lilac, Purple, Light Blue, Royal Blue, Navy Blue, Mint, Kelly Green, Hunter Green, Yellow, Pink, Red, Burgundy, Tan, Brown, White, Silver, Charcoal, Black. 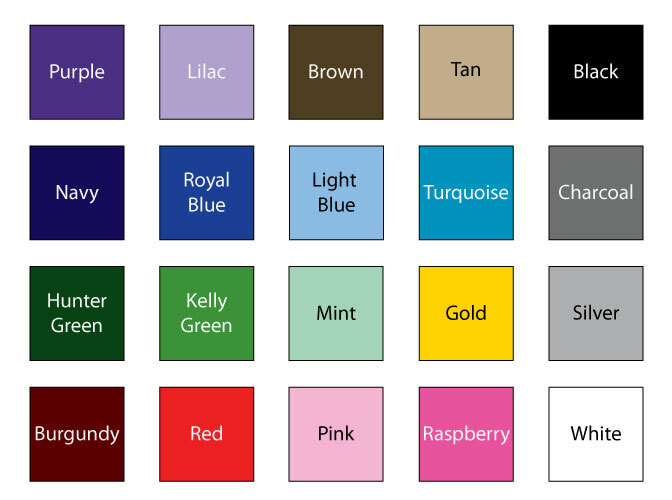 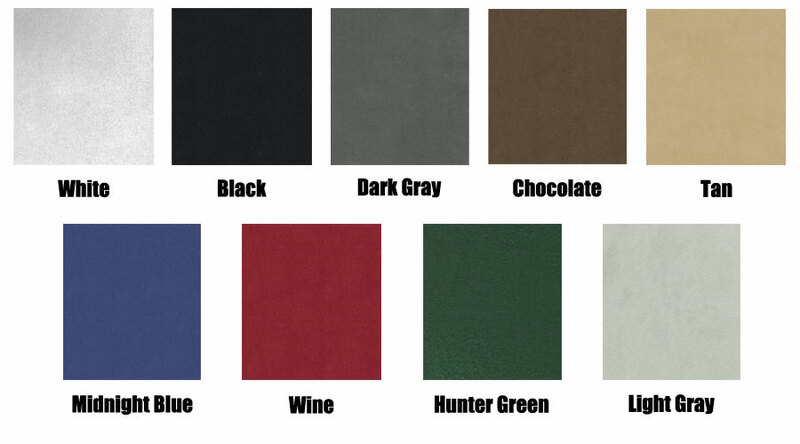 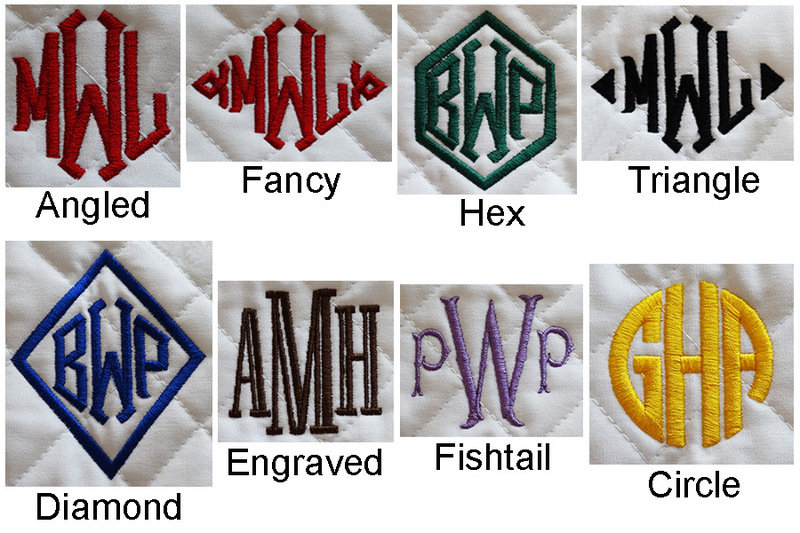 From Left to Right: White, Silver, Charcoal, Black, Cream, Tan, Brown, Burgundy, Red, Raspberry, Pink, Orange, Gold, Yellow, Hunter Green, Kelly Green, Teal, Navy Blue, Royal Blue, Medium Blue, Light Blue, Purple. 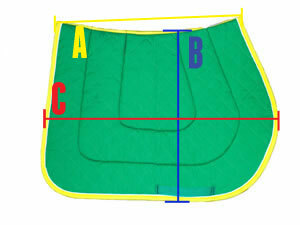 For Oversize, add 2 inches to spine (A) length. 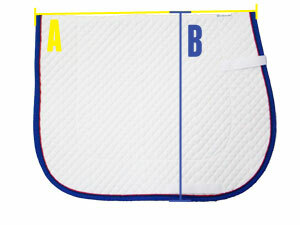 For Oversize, add 2 inches to spine (A) length and 1 inch to drop (B).